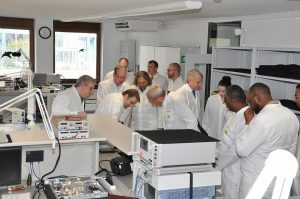 Tech-Talk Forum 2019 is a Success! 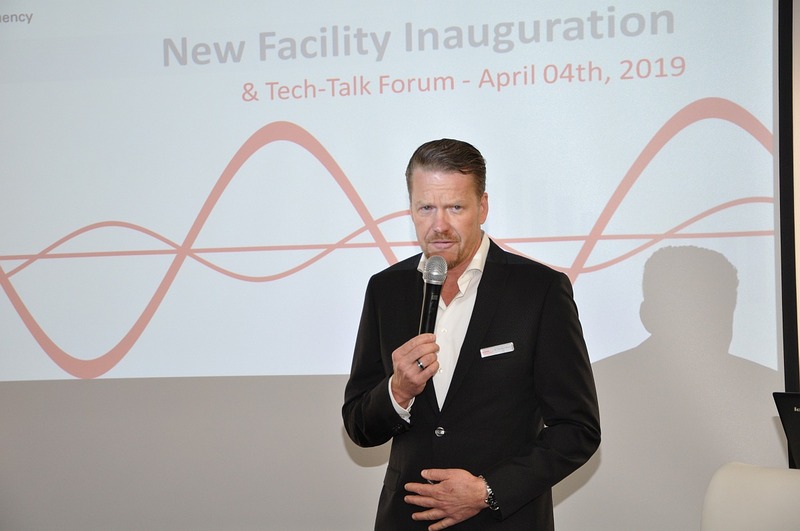 On April, 04th, we had the pleasure to inaugurate our new HQ facilities with attendance of 70 international customers and partners at the occasion of our technology forum 2019, “Tech-Talk”, bringing experts together from a wide range of fields, including Satcom, Defence Electronics, Satellite Navigation, and Industrial Process Control. 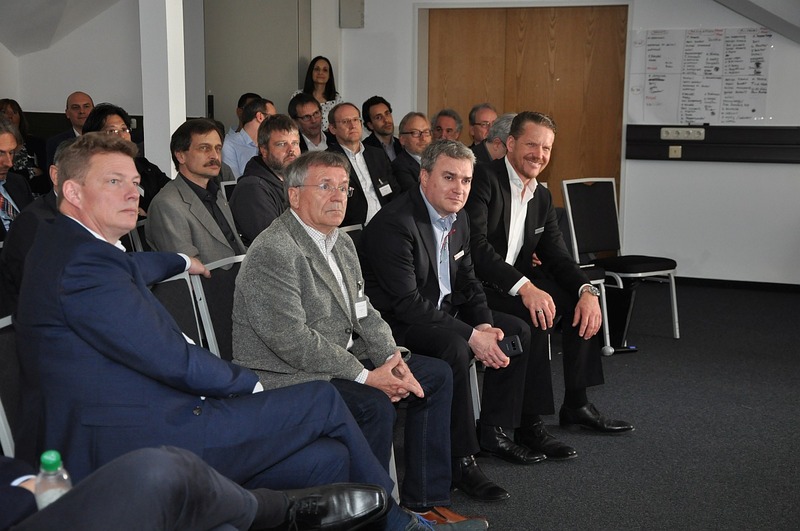 The two-part program kicked off with an introduction to WORK Microwave’s new 3,500 m² expanded premises followed by a number of inspiring tech-talk sessions exploring the key drivers shaping the future of the market and innovation. Attendees saw first-hand our quality-driven production and engineering processes during a tour of all departments from mechanics to SMD, hybrid, assembly, test and RF development. The Tech-Talk sessions gave a widely appreciated opportunity to examine tomorrow’s challenges in Satellite Communication, including the role of satellite in the 5G ecosystem, the future relevance of LEO and MEO constellations, and the commercial deployment of very high frequencies such as V-Band, wideband or beam hopping technologies, from different perspectives. WORK Microwave would like to thank all of the participants who helped make this a successful event! 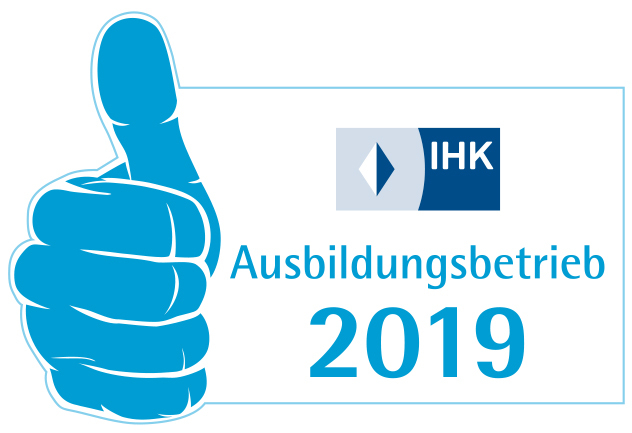 WORK Microwave are pleased to be in a position to help the local community through the sponsorship of FC Holzkirchen. It is a privilege for us to support such a passionate group of young footballers who’s team spirit and dedication saw them promoted to the Bayern League in 2016/17. We wish the team all the best in their matches this season! For over 30 years, WORK Microwave has been a leading developer and manufacturer of RF electronics technologies and products. Known for its quality products, customized solutions, reliability, and world-class customer service, WORK Microwave sets the industry benchmark for innovation in microwave and signal processing technologies. All of the company’s products are developed and produced in-house, leading to an unrivalled response time to customer needs. The products in WORK Microwave’s four divisions — SatCom, Navigation Simulators, Sensors & Measurement, and Defence Electronics — have been deployed and endorsed by many of the leading communications operators, systems integrators, defence manufacturers, and public services worldwide.